This beautiful ibex is modelled on a real creature, a magnificent male that was killed by an avalanche. A plaster cast was made, which was then used to cast the bronze statue. 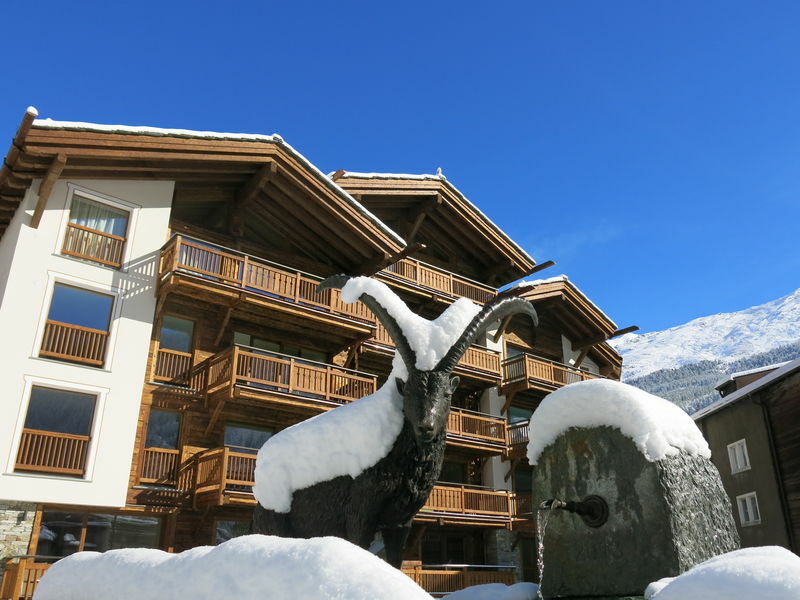 Harry Lauber, the hotelier of the adjacent Matterhorn Lodge hotel, even received a gold medal for the trophy of this ibex. Harry Lauber found the rock that forms the base of the fountain among the depot of glacial erratics at the Täschwang. There, the greenish boulder was regarded as worthless; today, it forms a fine fountain trough. The origin of the rock is unknown; Lauber assumes it is from the Zermatt region. 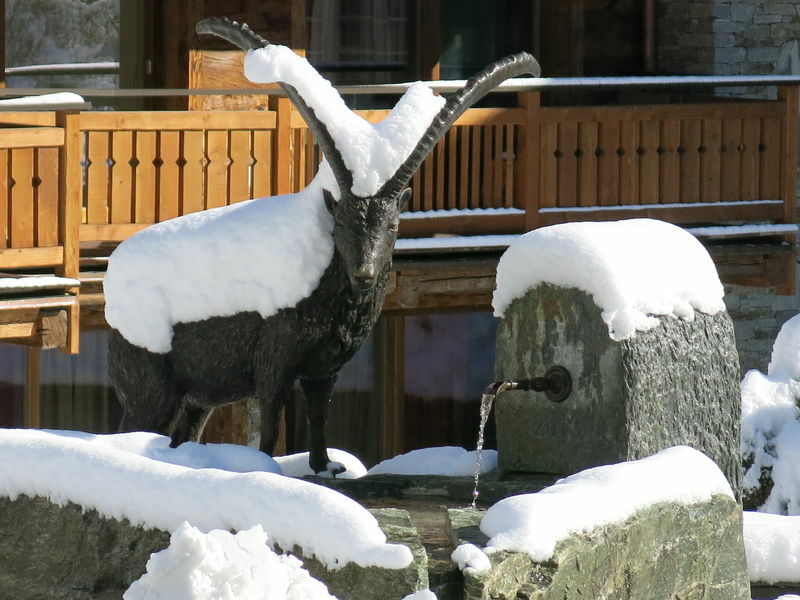 A “brother” of the ibex, a second bronze cast, stands on the terrace of the Hotel Bahnhof opposite the railway station.